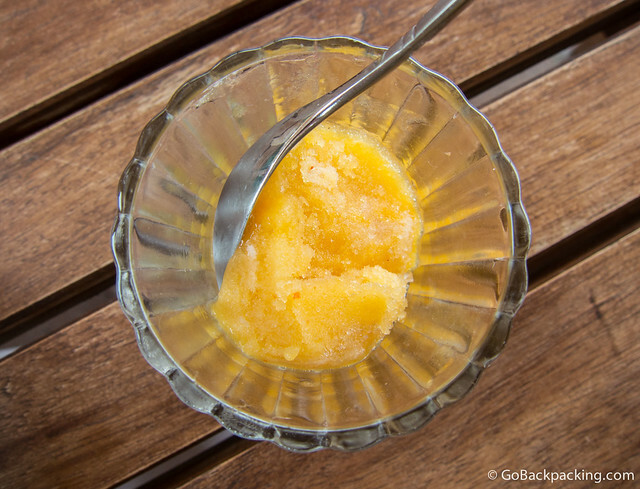 Lunch began with the spicy kick of Habanero peppers in an otherwise sweet maracuya sorbet. The icy sorbet at once began to cool me down, while the pepper flavor awakened my taste buds for the three course Oaxacan feast I was about to indulge in. Casa Oaxaca El Restaurante (Constitución 104-4, Col. Centro) is one of the top rated restaurants on TripAdvisor, and I'd sought it out for a decadent lunch our first day in the city. While the rest of my G Adventures group was off visiting thermal springs in the surrounding mountains, I chose to spend a relaxing day in town. Casa Oaxaca features both indoor and outdoor dining. I chose a table on the upstairs terrace, which faces one side of the Church of Santo Domingo. I practically had the restaurant to myself, which ensured prompt and attentive service. 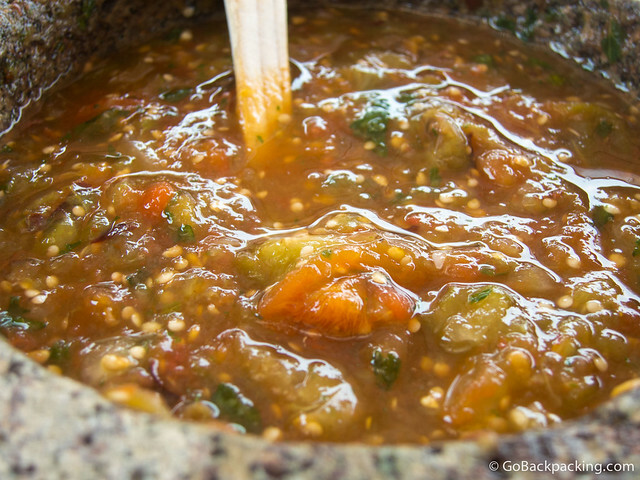 Once my taste buds were awake, fresh salsa was prepared table side. The result was far beyond what I could eat by myself, but it was a nice touch. 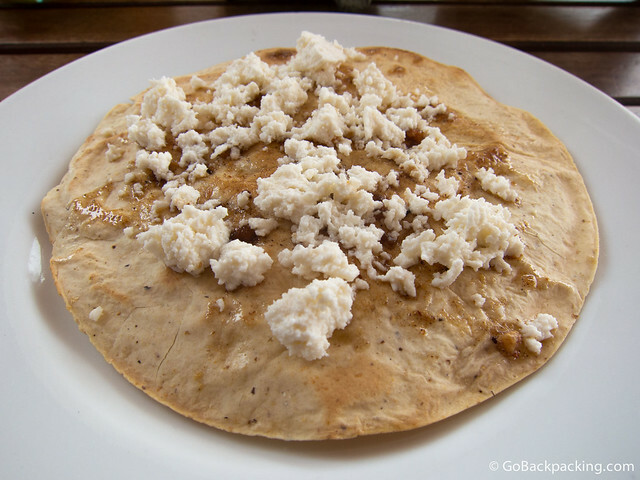 In addition to the sorbet, chips and salsa, I was also presented with a flatbread topped with Oaxacan cheese. Mmm…cheese. The menu featured a range of traditional cuisines, all given a modern twist to them. When I encounter a menu with so many delicious options, I default to ordering a three course meal to taste as much as possible. For my first course, I ordered the ricotta stuffed squash blossoms. It was my first time encountering these tasty treats, but I immediately became a fan. The soft, creamy ricotta practically oozes out of the flower blossoms, the whole thing melting in your mouth. Each was a little taste of heaven. My first taste of mole in Mexico was at Pujol Restaurant in Mexico City, followed soon after by a black mole with chicken in Puebla's historic city center. 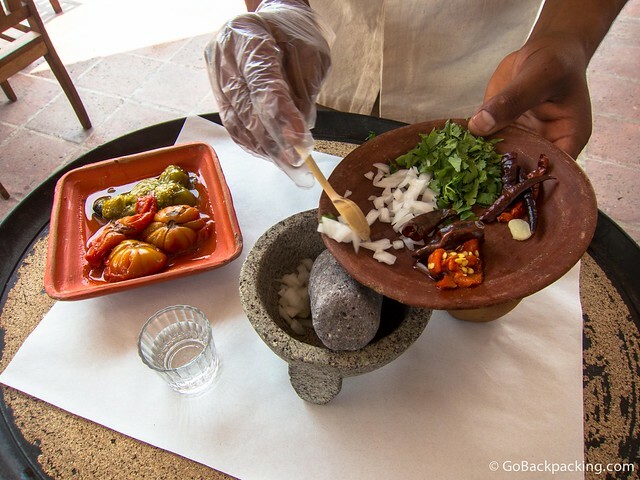 By the time I reached Oaxaca, I was willing to experiment a little. I opted for the green mole with suckling pig. Mmm….suckling pig. The piece of pork that was produced glistened with fat and greasy goodness. As I pushed my fork down, layer upon layer of pork slipped apart. It was the most decadent dish of lunch, and my first foray into anything other than a black mole with chicken. For dessert, sweet dessert, I chose Oaxacan chocolate mousse. 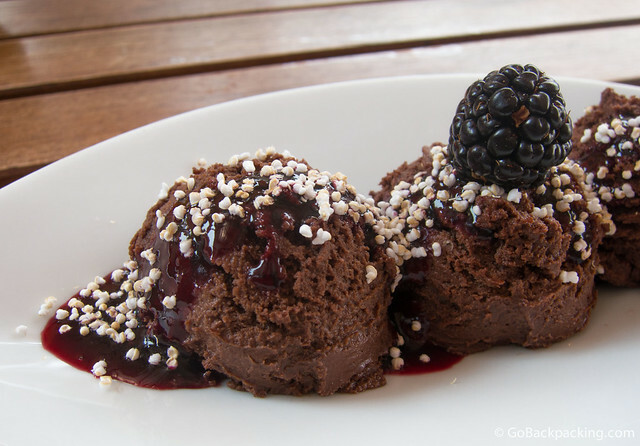 Normally mousse is a serious hit or miss dessert in Latin America, but Casa Oaxaca isn't playing around with this one. They got it right. Three scoops of rich, creamy, chocolate mousse were presented on a plate. I could've done without the agave worm salt, as a I order mousse for the silky smooth texture, but the flavors more than made up for the garnish. By the time I'd finished lunch, I had to waddle my way out of the restaurant, in order to take a siesta back at the hotel. My Mexico Ancient Civilizations tour was in partnership with G Adventures. Any opinions expressed are entirely my own. For more photos from my time in Oaxaca, check out this Visual Adventure on the G Adventures blog. What did the flowers taste like? I’ve only ever eaten those tiny flowers they sometimes put on plates to make them more decorated. The squash blossoms mostly tasted like the ricotta cheese they were stuffed with. 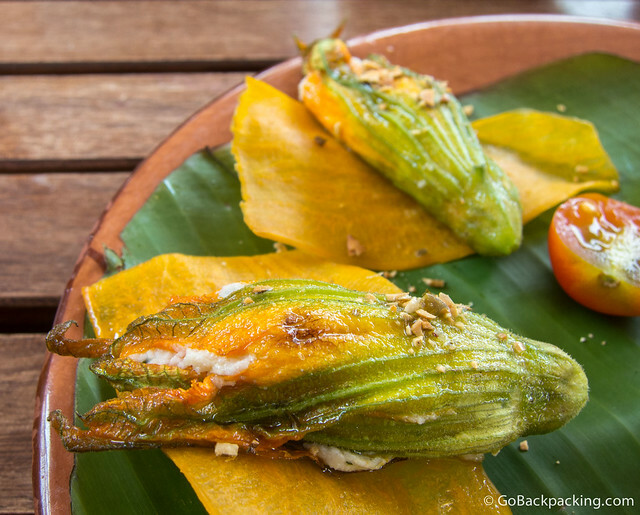 I would love to taste ricotta stuffed squash blossoms with honey, looks yummy! This is the place to be for all my meals.